Is writing your full-time occupation, if not what is? No, unfortunately writing is not my full-time occupation. It is actually quite difficult to be able to write as a full-time occupation especially if you need to pay bills. Only a lucky few can actually make enough of a presence to able to quit their jobs and take up writing full time. I work in the finance field for my paycheck. My first professional sale was a double sale and happened with Zumaya Publications. Previous to that point, I’d been working with an agent for a couple of years. While I’d gotten a number of near misses, I hadn’t been able to get a company to pick up the book I was mainly pushing at the time. I’d been living under the misconception that an unusual idea would sell better. Unfortunately in these times, where marketing can dictate a lot of the policy for the major publishers, the unusual can actually be a hindrance on a sale. So after my agent went out of business after 9/11 and I was on my own again, I started taking a hard look at the business and attending panels and conventions where I could meet people who knew more about what was going on than I did. It was through some of the people I met that I eventually came to find out about an up and coming small publisher–Zumaya Publications. That question is always a tough one. I have a lot of authors I like and whose books I wait for with baited breath. But if I had to pick one, it would be Stephen King. Mr. King has got a great book voice. Reading his books is being in his books. It is that quality of presence, realism, and inundation of the reader in the story that makes him the popular writer that he is. His book on writing exemplifies what is great about his writing–when I read it, it was like I was sitting across the table from him, drinking tea, just having a one-to-one conversation with him about writing and his life in general. My advice to any would-be author would be to network, network, network. Go to the conventions, attend the panels, soak in all the information and wisdom you can from those willing to give it, and overcome your shyness and try to meet and get known by the people in the business. Being informed is a great tool, and being known can open doors or opportunities you would not have otherwise. This has probably been my weakest point up to now, and it is definitely one of the reasons it has taken me so long to get into print. For shy people like me, this is a definite struggle, but one worth fighting. And of course, never forget you have to write, write, write–that’s THE most important thing. That’s a toughie. In some ways, I think I fell into it. I got an idea that would not go away and so I wrote it down. I didn’t know much about writing at the time and actually sent the manuscript off a few times for fun. (I’m horribly embarrassed looking back on it.) Of course, it got me nowhere, but I didn’t understand anything about the publishing industry at the time or the fact that my writing left much to be desired. Sometime later I ran across an Amateur Press Association for a Japanese show called Gatchaman. Many of the members wrote fan fiction for the APA. I got bit by the bug–as I had known the show in its American incarnation of Battle of the Planets. Seeing how others were doing fiction about the show, I felt compelled to do the same. With the great kindness, enthusiasm, and encouragement of one of the members, Wendy, I kept at it and found that I truly enjoyed doing it. As I saw my writing improving, I decided to write another novel, this one something I could actually try to sell unlike the first. Honestly, I am not sure I consider myself one even now. Though one book has published and a second one is on the way, I still feel I have so much more I can learn about the craft that in my own mind, while I consider myself a writer, I’m not quite yet ready to believe I am an author. Weird, don’t you think? Yep! Love the stuff. My main love is soundtracks. I have a decent collection of soundtracks for both American movies and Japanese animation. My favorite two soundtrack gurus would have to be John Williams and Danny Elfman. They both write vibrant and memorable music. I love all sorts of music in general as well. Dance, Classical, Meringue, oldies, you name it–I like it. Unfortunately, life does not always let me write there–but if I had to pick a spot it would be the comfy couch in the living area. I’ve had some nice results there with a notebook, though the cats are always demanding lap space. Most of it, however, gets done during lunch, at my company’s break room. That would be Irene’s Last Waltz by Carole Nelson Douglas–the fourth book in the Irene Adler series(The only woman to go toe to toe with Sherlock Holmes). Great books for lovers of anything Sherlock Holmes related. The mysteries are set in the late 1800’s. I discovered her writings last year when she appeared in Dallas at ConDFW, a new literary convention. She did a sample reading of some of her work and I was hooked. Great “voice.” I am now also hooked on her Midnight Louie mystery series as well. Weirdly enough, (as I’ve been known to stumble into from time to time) I read the 9th book first–Cat in a Kiwi Con–then went back and read book 1. It truly amazed me to see seeds of what was happening to a number of characters in that 9th book being set up all the way in book 1. I utterly admire her foresight and planning! Do you always know a story’s ending when you begin writing? Absolutely not! Though sometimes it has been the ending that has prompted a story in the first place and the rest of it that which I’ve had no idea about–so I end up having to work my way backward. Depending on the mood of my brain, I’ve gotten ideas that are occurring in the middle of a story, sometimes the beginning, others at the end. There’s no real rhyme or reason. Sometimes the idea I start with is also not what I end up with once I’m done. Who or what has been a major influence on your writing and why? That would have to be all the members of the Amateur Press Association called Bird Scramble, and especially the current OE, Wendy. The APA has been a great place to show my writing and get light critique. It’s pushed me to keep writing, and to come up with ideas, and try different techniques. Wendy’s encouragement and excitement at even my first meager efforts did much to help me push to better myself. The more I wrote, the more I came to understand the items in writing that are not necessarily immediately apparent, yet are very important–like one’s “voice” and cadence. For like music, writing has a flow, a pace that needs to be created by the writer so that the words will fall smoothly and not jar the person reading it. Yet understanding this and getting a feel for it is difficult. I was able to learn and practice and see these things as I submitted items for the APA. I would not be where I am today without that venue and especially Wendy. Plug away — what do you have coming out? Well, aside from the current release of In the Service of Samurai, within the next three to six months should see the release of Wing of Angels (Named changed to Vassal of El). Unlike the first, which is a Japanese Fantasy, this one will be in a more familiar fantasy setting. It’s the story of a young man who was torn from the life he knew, and now that he has come to mostly accept his different life, he will find himself plunged back into the life he felt he could never return to. 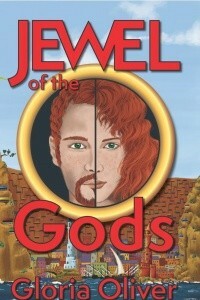 There is a teaser and a blurb on this upcoming title at www.gloriaoliver.com. What was the initial spark or idea that made you start writing in the speculative genres? That’s a toughie. For me, the whole process of getting into writing was rather slow and had stages in several parts of my early life. As a teenager, I had a hard time falling asleep every night, so I would make up stories in my head about TV show characters, mainly from the original Star Trek. One of them I found so fascinating, I just had to write it down. I would say that was the first fiction I ever did. Yet it wasn’t until years later that I started writing my first novel-another set of ideas that wouldn’t go away-and then even later really started to write on a consistent basis. But through it all, I’ve always been a heavy reader. Science Fiction and fantasy were my first loves. What effect do you think the Internet has had on exposing your work to the masses? The internet is a great tool for marketing. It’s a place where you can build a presence that anyone can have access to. You are one of millions out there, but just being able to make a presence there, is a great boon. It lets you put yourself and your work in a venue where anyone can find you. If they even hear your name mentioned somewhere, it gives them instant access to find out more about you and your works. What do you think about the future of electronic publishing? I don’t think books will ever go away, but I think electronic publishing will be a rising contender in the very near future. It’s a way for people to get books, which they can then transport easily and read anywhere, and accumulate a ton of them without cluttering up their house. In the long run, I think people will buy the e-book version first and then if it is a book they really like, they will buy the physical book for their permanent collections. Which writers have had the most influence on your own writing? Ah, another tough question! Lol! I think writers are influenced by everything and everyone they read in one way or another. Those whom I read consistently since way back would be writers like Barbara Hambly, Steven King, Robert Heinlein, Edgar Rice Burroughs, David Eddings, C J Cherryh, Tad Williams, Stephen R Donaldson, Piers Anthony, Anne Rice. Newer loves have been Carole Nelson Douglas, Chelsea Quinn Yarbro, and Tanya Huff. And there are even more I can think of right now. Any advice you would like to give aspiring speculative writers? Write, write, write, read, read, read. Also, go to writing conventions, attend the panels, and even if you’re shy try to network, network, network. There are also wonderful reference sites out on the web-places like http://www.sfwa.com, http://www.ralan.com, and many more. They all have suggestions and tips on writing, where to submit, things to watch out for. Oh, and when submitting, always make sure to read the submission guidelines! What’s the most important thing you would like your readers to take away from your work besides an enjoyable or entertaining read? You mean there’s more? I would hope that I was able to evoke an emotional experience. If more than enjoying the book, I was able to make them care, then I would have truly done my job as a writer, for then the characters and situations would have seemed more real to the reader and connected to them in some way, making it more than just something they read. If you had to make a list of the top ten best novels of all time (no matter the genre) what book do you think would top that list? The book that jumps out at you as the best you’ve ever read. Weirdly enough, I do have an answer, and it is probably a strange one. If I had to pick one, I think I would pick Misery by Steven King. The reason I would choose this book is because it struck me in several levels. Yes, it was a terrifying ordeal, and creepy as all get out, but in the middle of that horror, Steven King was also giving lessons on writing to the reader, telling of experiences a writer might expect, talking about the love of writing itself and how it got the protagonist through his ordeal and beyond it. In some ways, it was a lesson on the art of writing. I was profoundly moved by it. Currently, I am working on another fantasy novel entitled Willing Sacrifice. I am on 3rd draft and I am sure it will go through at least another before I will even think to show it to my editor. And how can readers find out more about your work – any online hangouts, websites, chat rooms, CONS you’ll be attending, book signings, blogs, etc? Well, my main spot for information would be http://www.gloriaoliver.com I have news, sample chapters, upcoming publications, etc. They can also sign up for my monthly newsletter by sending an email to gloriaoliver-subscribe@yahoogroups.com. I will be attending Fencon in September, ConDFW and Epicon in the Spring, along with A-kon, and Animefest in the summer and fall, and probably one or two others as well. All that info is updated on the site on a regular basis. I read! I also play console or PC games. Lately, I’ve become somewhat addicted to online games-SWG currently, and looking forward to the WISH beta in the winter months. On top of all that and working full time, I take lessons in Japanese, watch anime, and do a little translating of manga (Japanese comics) on the side. KC: What state/province do you live in? Have you always lived there, or are you originally from somewhere else; and if so, how did you get transplanted? KC: With all of this moving around, I’ll bet you’ve experienced cultural differences. How have these affected your writing? Gloria: Affected my writing? I’m sure it has. Trying to quantify how is terribly difficult though. Most of those differences are buried in my subconscious somewhere and hopefully, my brain is putting such knowledge to good use. Anything and everything you experience throughout life will only help your writing. And to be honest, it’s amazing how in some little things there is such variation in our country. House styles, for example, are something you wouldn’t normally think much about. Yet can be extremely different from region to region. I suppose it has helped me with my two novels as well, since one is set in a totally different culture (In the Service of Samurai) and the other (Vassal of El) has two cultures with one man torn between them in which I hopefully was able to bring out the subtle and not so subtle differences in the two. KC: Tell us a little about yourself. Gloria: Hmm, what to tell? Female, Aries, blood type O negative. Married for twenty plus years and have a daughter. Have several cats and a ferret. I work full time doing accounting and sneak in writing and reading whenever I can. Have been writing for about 17 years, though only in the last 5 or so have I been aggressive about getting into print. KC: What life experiences with family and work come out in your writing? Why? KC: Ha~ love it! . . . How did you get into writing? Gloria: Stumbled into it really. Pretty much had an idea for a fantasy epic that wouldn’t go away, so I finally gave in and wrote it. Didn’t do anything for years after until I found some people who had an amateur press association based on a Japanese Animated show called Gatchaman. I started writing fan fiction for the APA along with the other members and got feed back and encouragement from the people there. This pushed me to write more and start to refine the craft, and eventually, I got an idea for another novel and went from there. Haven’t looked back since. KC: Did you publish the first story you ever wrote? Gloria: No. But then again, at the time that I wrote it, it hadn’t been meant to be something for sale, and I never tried to sell it. The very first story I wrote was a fan fiction piece based on original Star Trek. It was a piece whose idea poked at me so much I had to put it down on paper. I was in my early, early teens at the time. I wrote it because it made me and so I could enjoy it, and never intended to do more with it than that. No one has ever seen it other than myself. I believe I’ve still got it tucked away somewhere for nostalgic reasons. KC: Tell us about your fan-fiction pieces for the APA. Gloria: Not sure what to tell. Over the years I’ve been part of three different amateur press associations all based on fandom for Japanese anime or manga. The first, and the one I am still involved in is Bird Scramble, which is for fans of the show Kagaku Ninjatai Gatchaman. In the United States, people might recognize it as Battle of the Planets. It’s had several other incarnations in the States, but I can’t remember the names at the moment. The other two APA’s I belonged to were for fans of St Seiya, and the other was for Cosmo Police Justy. In the Apa’s, those participating share art, stories, research, whatever they can contribute. For me, it was a great venue for learning the craft of writing as not only could I get commentary back on the pieces I submitted from the members who read them, but it gave me a reason to write, and things/people to write about that I already found interesting. Not all writers start out doing fan fiction to get their skills honed, and when I originally started I had no idea I would be using it for that. It was just a fun group of folks and a neat place to share ideas with others interested in the same things. I will say that without it, in my case, I would not be to the level of writing I am today. A few of the folks there have helped me learn a lot and pushed me to be better. KC: Where did your initial interest in things Japanese come from? Gloria: My interest in Japan started when I was very, very young. A lot of the cartoons and shows I was watching as a child in Puerto Rico were translated works from Japan. Kimba the Lion, Princess Knight, Speed Racer, Ultraman, Godzilla movies, I grew up watching them all. From the live action stuff, in particular, you could see it was a different culture than my own. The ending credits told you they were products that came from Japan. Somewhere in there I discovered samurai and ninja, Japans’ swordsmen and assassin/spies, and was totally enthralled. It was a very harsh culture back then, don’t get me wrong, but like things from the old West, it has a certain romanticism attached to it in modern times that is very attractive. All cultures out there are incredibly fascinating in one way or another. While Japan is high on my list, I’ve dabbled a little with many others. Wished I enjoyed reading textbooks more! KC: Tell us a little about your current writing project. KC: Ooo, sounds good. What kind of research are you doing for this project? Gloria: Since it is a fantasy, research can be subjective, but I have had to do some. I looked into gypsy wagons for instance. Needed reference material so I could make realistic traveling wagons for a troop that becomes central to the story. A lot of things become more a matter of thinking them out and writing them down than actual research for a fantasy. As the author, I have to understand a lot of information about the world the story is set in and how things work in it. So I have to create the society, the conditions, the general history of where I am setting the tale. This is where all that subconscious knowledge and experience comes in and helps you out to create the framework you will need. For this, I have a separate notebook than the one I use for making the story’s first draft and jot down all that info I cook up so it is there for me to reference as I go along. KC: What are your future writing goals? Gloria: Don’t have any specific writing goals aside from writing more books, continue to improve my craft, get more people introduced to my writing, etc. KC: Are you able to make a living as a writer, or do you have a day job? Gloria: Actually, most writers can’t make a living on just writing alone. A few lucky percentage have either enough books out there or are popular enough to keep them from a day-job or their personal circumstances allow for not having one, but most of us have to work to bring home the bacon. 🙂 I work in the accounting field, which works because that way my “have to job” and my “want to job” are different enough one doesn’t burn me out from doing the other. KC: What are your other main interests, besides the writing world? Gloria: I have too many interests and not enough time for everything! The main ones I suppose would be watching Japanese animation and reading Japanese comics. I am also taking Japanese on the side, and translating comics (called manga) on my own. Aside from those, there’s reading, watching movies, and playing on-line games. KC: Do you have a website? If so, what’s the link? KC: Nice site! Thanks for sharing with us. THE ROCK: Who is Gloria Oliver? OLIVER: I am a speculative fiction writer, though both my novels are actually in the fantasy genre–“In the Service of Samurai” and “Vassal of El”. I also have several published short stories which appear in “The Four Bubbas of the Apocalypse”, “Small Bites”, and “Fundamentally Challenged” anthologies. I work full-time in accounting in order to support my family and my writing habit. I’m into all sorts of things–from just the usual reading and writing to watching movies and Japanese Anime, playing on-line games, and translating Japanese comics for fun. THE ROCK: Where were you born, and where are you currently residing? OLIVER: I was born in Rio Piedras, Puerto Rico but for the last twenty years or so I have been living in Texas. THE ROCK: Are there any other writers in the family? OLIVER: No, I am it at the moment, although my husband has had a lot to do with my own writing in an indirect way. It was his imaginings that formed the core of my first published work “In the Service of Samurai” so though he may not be a writer, I couldn’t have done it without him. THE ROCK: When did you start writing? OLIVER: I had never intended to be a writer. Yet somewhere in my teens I got an idea for a book and it wouldn’t leave me alone, so I started putting it on paper. Yet it wasn’t until my early twenties that I met a group of folks who wrote fan fiction over a Japanese cartoon called “Kagaku Ninjatai Gatchaman” that I really got the bug. Seeing what they were doing encouraged me to try stories of my own and with their support and encouragement, I kept doing more and more until it becomes an integral part of who I am. THE ROCK: What prepared you to become an author? OLIVER: I don’t know if any of us are ever “prepared”. But all the years of doing fan fiction and finishing that first novel from my teen years pushed me to put words on paper which slowly but surely gave me an understanding of the craft and got me to love it. There are so many subtleties in writing aside from just thinking of a plot and grammar. You have to develop a style… a flow so to speak. Words on a page are not enough. A book has to have a cadence to it, like music, which will pull you through the prose. Writing is a never ending learning process, at least for me, and I am always discovering new things. THE ROCK: What inspired you to become a writer? OLIVER: Once I realized the writing bug had me, it was the fact that I had stories to tell. Entertaining stories that would make people feel. My entire goal as a writer is to entertain–for me and my readers to explore situations and the people who’ve been placed in them. THE ROCK: What inspired you to write your book? OLIVER:”In the Service of Samurai” was inspired by a premise from my husband. There was a lot of research involved, but since I have always been interested in the culture, it was a lot of fun to write. THE ROCK: Tell us about your newest creation. What is the premise? OLIVER: My second release is “Vassal of El”. This is a more of a standard fantasy, where the hero is forced by circumstances to face a past he’d rather forget. It involves the clashing of two cultures, one land-based, the other a race with wings on a floating island, and how if they don’t somehow reach some kind of understanding, it could very well signify the end of both their civilizations. THE ROCK: Any publishing contracts in the working? OLIVER: Yes. Zumaya Publications has contracted to publish my latest called “Willing Sacrifice”. It’s currently being read by my beta readers and should see release in 2007. THE ROCK: Have you ever self-published? Why or why not? OLIVER: I have not self-published. I am proud of my work; I feel it is worth reading, and if it is truly good enough, editors will see that and accept my work for publication. While the major houses are currently flooded with works, there are still a lot of small press alternatives who work just like the big houses with respect to editing, formatting, likable covers, etc. An author should get paid for their work, never pay for it. There are instances where self-publishing might be the better option for some. Established writers who want to bring back a work out of print, someone who only wants a short run of books to share with family and friends, a work too controversial to go through the standard publishing routine, things of that nature. But for anyone actually wanting to enter the writing field and keep at it, I would encourage them just to keep submitting their works until they find a house that’s right for them and who feels the same about the author. In the end, though, it’s a decision every writer makes on their own–they should always choose what’s right for them. THE ROCK: What are “traditional publishers” looking for? OLIVER: That is the 50 million dollar question. I believe the answer changes from day to day sometimes. Basically though, if you want to write for a specific publisher, check out the books they currently print and see what it is they are publishing. The same goes for short stories for magazines. Though it is probably harder, I prefer to write what I want to write then go looking for where my work will be a good fit, rather than cater my work to what someone is looking for. It’s one of those decisions each writer has to make on their own. THE ROCK: If you were a publisher, what would be your niche and why? OLIVER: Fantasy and Science Fiction! They are what I love the most and what I write. THE ROCK: For an author, is having a publishing contract with a “traditional publisher” important professionally? Why? OLIVER: Yes and no. The publishing field is changing. With the advent of technology and faster communication, a lot of people who would not have considered getting into writing are doing so now. The traditional publishers are swamped with submissions. They, in turn, are being bought up by conglomerates who are looking more at the bottom line than making relationships with writers and readers. A lot of new writers will get a book out in print through a traditional large publisher, get little to no marketing support, and then have the books yanked from the shelves in three months never to be seen again. Regardless of whether you go with a traditional or small press, you have to be a marketing guru anymore to push your own work. Many publishers, large and small, now want to see marketing plans with the manuscript submissions. The biggest advantage of the traditional press is the distribution network. Of small presses is the fact the books will not go out of print, especially if they are using a book printer using “print on demand” technology, and that you feel more like a part of a family than a corporation. In the end, it all comes down to what is right for a particular author. THE ROCK: What are some of your professional achievements? OLIVER: Personally, I guess my biggest achievement was getting my first novel actually written! There are so many people who start a novel yet never see it to fruition. Just making it that far was a major accomplishment in my book. This, of course, spurred me to do more of them, since I already knew I could. Professionally, both of my novels have been finalists in 2004 and 2005 for the EPIC awards called EPPIES. Just making the cut to finalist was a great thrill for me. THE ROCK: Who are some of your favorite authors? OLIVER: There are so many! Top on the list would be people like Stephen King, Tanya Huff, Carole Nelson Douglas, Barbara Hambly, David Eddings, Tad Williams, Stephen R Donaldson, Chelsea Quin Yarbro, Robert Heinlein, Edgar Rice Burroughs; the list goes on and on. I am also trying to read more small press authors and have enjoyed the works of Selina Rosen, Jeff Turner, Jeff Strand, Murdoch Hughes and others. It’s just a shame I don’t have time to read more! THE ROCK: Where do you want to be in five years? OLIVER: I would like to have a book or two more under my belt, possibly some more anthologies, enlarging my fan base, showing more growth in my writing and therefore telling even better written and more entertaining stories, getting my name out there and reaching those who would enjoy the stories I have to tell. THE ROCK: Where can readers find you? THE ROCK: Thank you Gloria, and much success. Please tell our readers about yourself and your writing beginnings. Well, first off, I’m a writer, so I am probably insane. 😛 I am married, have a daughter, three cats, a mortgage, all the usual mundane stuff. I work with numbers for a living. People don’t think that accountants have any imagination but if they could see what we do with those numbers, they’d never think that again. lol. Dealing in accounting is not what I “wanted” to do; it’s pretty much just something I fell into and have been doing ever since. As to writing, I was nibbled on by the bug in my teens, where I wrote a piece or two of fan fiction (before I honestly knew such a thing existed), and tried to write a novel. Didn’t do much with writing for a long time after that then got a serious case of wanting to write when I found out other people did fan fiction and that they were willing to write and share each other’s work. Haven’t stopped since. How do you think your writing would be different if you hadn’t moved so often? I must admit that moving around as I have has probably given me some insight into a lot of situations and concepts I might not have run across otherwise. It’s honestly amazing how states or even countries can be so different from one another yet on other levels be so much alike. I’m not sure I would have made this connection if I had not moved around so much. I wouldn’t have run across such a large amount of different beliefs, lifestyles, etc. I’m sure in many ways it would have limited the directions my writing could have taken. So though at times not an enjoyable experience, in the end, it has helped make me and my writing a more rounded person. Or so I hope! You’ve talked about conquering your shyness to make contacts in the writing world. Could you give some pointers on how to go about doing that? I know a lot of people have a hard time meeting and talking to strangers. Well, I still wouldn’t say I am the most outgoing person in the world, but I’d like to think I’ve gotten somewhat better. Networking is pretty much a must anymore if you want your writing to get noticed, and the easiest way of doing that is to go to conventions with writers’ tracks. Even those prohibitively shy can sit in the audience and pick up a lot of information and expertise by listening to the pros. Information you get from there might enable you to make contacts through email, which is a good way of getting information or communicating with others even if you don’t feel comfortable meeting them in person. By going to a number of the cons, you will get familiar with other con goers and guests. I know you especially like the Japanese settings and culture. Do you think you’ll specialize in the Japanese/ samurai stories or will you cover a wider spectrum of subjects in the future? For writing and reading, fantasy is my first love. So my first attempt at a book (never to be seen by outside eyes!) was a fantasy epic. In the Service of Samurai was actually my second novel and to be honest I picked the subject matter because it was something I was interested in and because I thought it would be something different and new to readers and so would attract more attention. Yet my next three works have been more in the standard fantasy genre as that’s pretty much where the muse has been leading me. I have no plans at this time to do another Japanese book, but you never know. I’m also trying to get some short stories out there and for those, all gloves are off. I’ve been doing anything and everything from horror, fantasy, science fiction, to comedy. If the idea is there and it bites me, I will go wherever it takes me. You wrote about reoccurring dreams so realistically in Vassal of El. Have you ever suffered from reoccurring dreams yourself? If you didn’t how did you get that urgency in the dreams? Are there any tricks to writing sections of stories to get that extra feeling in, like certain colors or words? I did suffer from recurring dreams when I was a teenager. I had one specific nightmare that haunted me for about a ten-year period. Everything around me would be moving terribly slow, but I would be moving super fast and there was no way for me to interact or communicate with those around me. Very creepy. As to writing dreams, I believe the key is to try to engage as many of the senses as possible in your descriptions–make the nightmare real and immediate for the reader. Also, sentence structure and pacing can set subliminal moods in the writing. To get a good feel on what to do, I would recommend finding a passage that gripped you as a reader and studying it, see how it differs from the rest of the work. As with anything, practice is the most effective tool–the more you write, the more you understand the nature of the writing itself and the things you can do with it. It can even become instinctive. As to specific words or colors, well, depending on what you are trying to achieve, they could be a pivotal point. The reader’s subconscious is full of specific icons that mean certain things and can be triggered by the writing. The color red for example could be used to make the reader think of blood, especially when joined with a metallic smell. Any advice about how to develop an idea into a full-blown story that is worth publishing? Anything to keep in mind while doing it? As you mention, you can have an idea, a wonderful idea, but it may not be something that you can write about. If you do think of something that sounds interesting, the first thing to do is go backwards and frontwards with it. Whether the idea is a scene, an action, an ending, you need to dissect it and follow it to a beginning, a middle, and an end. Think about who gets affected. Why do they get affected? What would they do when affected? Where would such an idea take place? As you think about these things and flesh out the idea, then you will get a feel on whether you can or can’t take it anywhere and decide to spend the time to actually create the story or book. Even if in the end it tanks, the exercise itself will be worth it. And you never know when that idea or a scene or character that grew from it might not end up being perfect and just what you needed to make something else work. Do you have any new stories being published/ developed in the near future? I have two books coming out in the next couple of years. 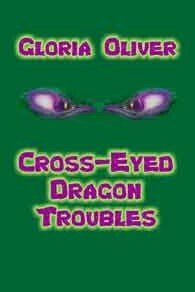 “Cross-eyed Dragon Troubles” should see release around June of 2006 from Hardshell Word Factory. It’s a YA (young-adult) novel in the fantasy setting of a school for the Dragon Knight’s guild. In 2007, Zumaya will be releasing “Willing Sacrifice,” which is another fantasy novel. There’s more info on both at www.gloriaoliver.com and some edited and raw chapters for both, so you can get a feel for the books to come. I do have several short stories making the rounds, and with any luck one or two of them will get picked up by the anthologies they’ve been submitted to. One is a comedy, and the other a police procedural fantasy (say that three times fast). Yard Dog Press will be putting out a Flush book of 1000-words-or-less stories by their stable or authors, so I will have a short alien comedy piece in that one. Yard Dog Press has the Yard Dog Road Show where the writers read out these pieces while volunteer authors do hilarious interpretive dance in the background. If you’ve never seen a Yard Dog Road Show and there happens to be one at a convention you’re attending, make sure to check it out–they are a hoot! Gloria, could you clarify on what a Flush book is? lol. No problem. Flash fiction is normally considered stories of about 1000 words or less. Yard Dog is going to take that further, and make a Flush book so you can read these bits of flash fiction at the toilet. 😛 They are a funny bunch of guys. You have talked about mistakes you made in your early writing. Could you tell us about some of them? What was the worst? What was the least bad? My biggest mistake was being uninformed and in doing so falling into pits. If I had (it) to do all over again, I would definitely go to conventions first, and learn about the pitfalls in the profession from the experts. Would have also started trying to network a lot earlier. There are a lot of con artists out there that talk a good game but will get you in the end. Not having done my research, I got hooked by a crooked agency who sent me to a book doctor who basically had no idea what they were doing and of course then the agency didn’t pick me up as a client once I had paid since it was all a referral scam. Again, being ignorant at the time, I also had no idea what a vanity press was (companies that will print your book untouched or with minor edits, but you pay to have it published– big NO-NO! Money should always flow to the writer). Luckily I didn’t go down that road, mostly because I couldn’t afford it. Felt like an idiot once I did find out what it was. The biggest key is to be informed. The best way to do that is to go to conventions (yeah, I am a big convention fan, can you tell?) and also to check out websites like www.sfwa.org and www.anotherealm.com/prededitors, which have a plethora of information on dos and don’ts, what to watch out for, what things to do. Another problem I had was not understanding whether my writing was good enough to be published or not. Though you may read a lot, there are still things you only learn through doing the craft. One of the most important things you can do to help yourself, if you’re truly serious, is to start looking for beta readers who actually have a clue. You can write something and have four people tell you it’s great, but if they don’t understand writing, they could be misleading you. And your own opinion is just not enough. You have to have your work checked by someone else. There normally is too much you as the author know inherently about the piece to sometimes be able to tell when you have given enough info or not. So another “good” pair of eyes is incredibly important. Also, never just take changes verbatim. Weigh them out and take the ones you want and leave off the others. It is your work. But be open and truly think about what other people say; they may have something there. I saw some parallels between El and Jesus, between El and Torren, and even between Torren and Larana in Vassal of El. Did this come about naturally, without you thinking it out, as a part of developing your story or is it something you planned from the outset of the story? Oh my. lol! I wish I could take credit for all that. Between El and Jesus I would say it was mostly subconscious. Until you mentioned it, it hadn’t really occurred to me. I needed El to be a sympathetic deity and so had him live amongst the mortals. I’ve been told by one or two people they think Vassal is a religiously themed book, one trying to affirm belief–but honestly that was never the point of it, not that I mind. My real purpose with this book was to entertain and share Torren’s story. Any correlations between El and Torren were mostly subconscious as well, though Torren and Larana just worked itself in as part of the developing story and I wove it in. Often times themes and correlations will work themselves into your work subconsciously. Other times you want them to be there from the start and consciously insert them. Creativity is a muscle and the more you use it, the more you might get out of it. On the same vein, when you think about themes and correlations, your subconscious can train itself to do that sort of thing for you as well. Go Subconscious! In In the Service of Samurai, I start out perceiving the samurai as evil, people to be frightened of, but as the story progresses, I find myself being sorry for them. Do you see them as all bad, all good or somewhere in between? Are all the samurai supposed to be good and all the ninja supposed to be bad? Samurai are people, and as people you will have those that are good, those that are bad, and some that are neutral. Samurai lived under a strict code of behavior, but like in all things, different people will take a different view of those codes. Some will abuse them, while others will live by them to an extreme. Ninjas came into existence as a way for samurai to assist them to get around the rules and also to glean information, cause trouble, and do all manner of jobs. I don’t see ninja as being intrinsically good or evil either. Samurai were considered the elite, while the ninja were outcasts, but that in itself does not make them either good or evil in my view. If you would like to learn more about Gloria Oliver, visit her website at http://www.gloriaoliver.com. Have fun jamming to the music when you get there and read lots of excerpts. I recently had the chance to chat with Puerto Rican author Gloria Oliver. Her book, Willing Sacrifice, will be coming out soon by Zumaya Publications. Gloria talks about her new book, writer’s block, book promotion, and offers advice on how to find the right publisher. This is a very tricky question. Every year there is more and more competition out there and the major markets have become less and less friendly. Way back, in my total cluelessness, I had assumed writing something unusual would be the way to get in. I couldn’t have been more wrong. A lot of the major publishers are now run by their marketing departments and they are mostly looking for the tried and true, regardless of what the public actually wants. Thanks to all of you for putting up with my ramblings! I’ve met and smoozed with Gloria at EPICons several times. She’s a fascinating person and writes some very interesting fantasies. I’ve read and enjoyed a few of them. We’ve also competed in several constest. 1. What’s your genre or do you write in more than one? I’m what is called a Speculative Fiction Author. Meaning that I write fantasy/science fiction/horror/paranormal. So far, however, all my books have been catering to the Fantasy and Young Adult Fantasy genres. 2. Did you choose your genre or did it choose you? Probably both. I’ve always loved all things Fantasy and Science Fiction so it honestly never occurred to me to write anything else. Regardless of all the other genres I may dabble in as time goes on, those two are my loves. 3. Is there any genre you’d like to try? Or is there one you wouldn’t? I’m open to anything. Mostly it’s the story screaming to be told that will determine what genre I use. Though all my books have been fantasy, I’ve written short stories in a lot of others. I’ve a short story I’m shopping around that’s part procedural and part fantasy. Being able to do a good Thriller might be fun. 4. What fiction do you read for pleasure? The genres I read are all over the place. Though I mainly stick to Fantasy and SF, there are several mystery authors I love, some awesome historical authors and I’ve even thoroughly enjoyed some non-fiction. Just for fun I will go dig out a classic here and there and delve in the fiction that was entertainment back in the day. I’m an accountant/author. One pays the bills, the other my imagination. I was infected by the writing bug in my teens. Back then I would make up stories in my head as I waited to fall asleep and finally created one I liked so much I had to write it down. Then in high school, I worked with some friends on our very own Soap Opera. That led me to grow an idea I’d had when looking up at a crescent moon and writing my first ever manuscript. So I guess that means I’ve been trying to iron out my skills in the craft for twenty plus years. Eek! 6. Which of your characters is your favorite? 7. Are there villains in your books and how were they created? All stories must have conflict, so normally there are villains. Though not all of them might be what we consider “Evil”. Sometimes the villain, or a secondary villain, has been the hero’s own self. Just like the main characters, any villains get built once I figure out their ins and outs. I make sure they have motivations and things that drive them just like the heroes do. The more rounded all the characters are, the more alive the story becomes, in my opinion. And villains can go a long way to making that happen. 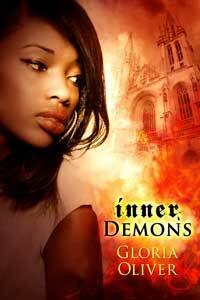 Currently, I am working on an urban fantasy titled “Inner Demons”. It’s about a young woman who finds herself inexplicably in the middle of a Houston street at night having no recollection of how she got there. Worse, she comes to find out she has three months of missing time and seemingly wasn’t idle during that lapse either. Her life has been turned upside down and she has no clue as to how it got that way. It’s almost as if someone else was living her life and going out of their way to destroy it. Heh heh. Now she has to figure out what the hey has been going on and why. 9. What’s your latest release and how did the idea arrive? 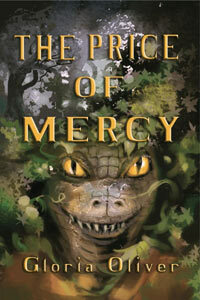 My soon to be latest release is titled “Price of Mercy”. (Crossing fingers it will be out in early 2011. Was delayed from a 2010 release. *cry*) The idea for it came from a short story I’d written where I’d explored what kind of fate might be worse than death. It ended up being too much to be properly covered in five thousand words so I decided to expand on it. Was actually a lot of fun as for this book I decided not to follow the usual Medieval feel to the Fantasy but skewed it more to a 1500’s French look for the culture and clothes. 10. Tell me about your latest book and how it came about. Enclose the opening of the book around 400 words. “Willing Sacrifice” is a Fantasy/Young Adult Fantasy. It is an exploration of ‘truth’ and how it can be shaped by different people to be different things. It’s also a weird look at stubbornness as well as the beginnings of a blooming romance amidst chaos. It covers that whole question of ‘truth’ and what it means depending on how you look at what you know that set me on this path. It’s not really as brainy as it sounds. Just a nice old adventure romp. The large undulating cloud spread across the fields, its hunger almost palpable. Food was near, food and entertainment. Thousands of them, all gathered directly in its path. Lightning flashed through the cloud from its eager anticipation. Screams echoed in the night as its acid touch ate through their shells to sear the flesh beneath. Ah, the smell of it. The eons it and its fellows had dreamt of this. Their time was finally here. The cloud did not slow, but flowed down the other side of the wall, expanding as it went. Like a wave, lights flickered on across the city as it engulfed the nearest homes, the horrified cries of those within waking those without who were still asleep. It could feel the panic rolling before it, frightened foodlings leaving their homes in a vain attempt to avoid its advance. A lamp fell and shattered inside a shop and flames attacked the wood within reach. The cloud was not bothered by heat or cold and enjoyed the extra fear the fire inspired in its fleeing meal. La’tiera sat up, her eyes wide with horror. The green luminous aura surrounding her dimmed, shrinking back unnoticed to outline the birthmark of a closed eye on her chest. Her damp golden hair falling about her like a veil, she leaned forward, shaking, trying to catch her breath. Q1: Please tell us a little bit about yourself. Where are you from, what is your background? A: I was born in Puerto Rico. Puerto Rico is a small island in the Caribbean that is considered a property of the US. Even though it’s US owned, the main language there is Spanish, with English as a second language. The reason for this is that PR was originally colonized by Spain way back in the day. I believe it was invaded and then claimed by the US as part of the Spanish-American War. My family and I moved to Ohio back when I was in my teens after having lived in PR when my Mom got remarried. I’ve since also lived in New Hampshire and Texas. I’ve been in Texas for more than twenty years now. Hubby is a full blown Texas born Dude. Heh heh. Q2: When did you first realize that you wanted to be a writer, and What was it that inspired you to start writing? A: Writing was something I sort of stumbled into. I would make up stories while trying to go to sleep and I liked one of them so much I wrote it down. Then I got an original idea and tried to write a book while still in high school. I actually finished the manuscript! Then a few years later I met some people doing fan fiction stories on a Japanese Anime I loved. The group encouraged others to write stories about the characters on the show. I did one, then two, then more and have been hooked on writing ever since. Q3: When did you write your first book? A: My first manuscript is unpublished and written in my late teens. I hope to one day pull it out and fix it up as it basically reeks of my cluelessness about the craft at the time. But it did show me I could go the distance and write an entire book. The manuscript which eventually did get published was my second one and came indirectly from my husband. He created a world and characters for a role playing campaign in a fictional Japan that I fell in love with. I liked the characters and the idea of them so much I just had to use them to tell a story. And so “In the Service of the Samurai” was born. I was in my mid-twenties at the time. Though I didn’t actually get to publish it till several years later. Q4: How many books have you written? Do you have a favorite? A: I have four published books with one more due out in 2011. I have another manuscript I’m currently shopping for a publisher for, and one in progress. “In the Service of Samurai” holds a special place in my heart since it was the first, but they’re all special to me. I feel each has something unique to contribute. They are my children, I love them all. Q5: When you were younger, what did you want to be when you grew up? A: All sorts of things! But mainly, I wanted to become an astronaut. Space, planets, being so high up, it had a great appeal. Worked towards trying to get into the Air Force Academy as a way in, since so many astronauts tend to be associated with the Air Force, at least back then, but life ended up getting in the way of my ambition. In some ways, I am rather grateful. There are way more adventures to be had as an author than an astronaut and it was those same life changes that let me meet my hubby. Q6: How long does it typically take you to write a book? A: This will normally vary, but at least a year. Writing is my second job, so time is somewhat limited as to when I can write. I also like to let the first draft sit before going in for the edit. Time to dump the memory buffer so I can go at it clean. Q7: Where do the ideas for your books come from? A: Ideas have come to me from all over. Characters I was fascinated by and just had to use – In the Service of Samurai. An image from a comic I saw of a man leaning over a girl confessing something painful that screamed it had to have a new tale attached to it – Vassal of El. A fleeting thought that became a kernel and then more as I looked at the different ways someone could be considered stubborn or how what we think of as truth could end up actually being a lie – Willing Sacrifice. There’s never any telling where an idea might come from. I don’t use everything I stumble over either, but I do tuck them all away and let them ferment. Some had to ferment for years before I felt they were ready to be written. The book I am currently shopping for a home for, called Jewel of the Gods, was one of these. I just try to keep my brain open as much as possible. You just never know where an idea will come from. Q8: Where is your favorite place to write, where do you feel most creative? A: This is a tricky question. For me, it’s at work. Weird, huh? I have a set schedule and I get to work early and write. I also use part of my lunch hour for writing. And of course, if stuff at work is really slow, I might sneak in some writing in there as well. Scheduled time really works for me. Let’s my brain know when I expect it to be creative. Some of my biggest epiphanies for stories have come after a long, stressful day. I’ll be driving home bone tired, sitting at a stop light, letting my mind wander as I try to relax and then WHAM! Some new idea or an answer to a sticky writing plot issue will slam into my head. No clue why that is, but I’ll take it! Q9: Do you have any role models? Have there been any other writers that have inspired you? A: Almost any author I’ve ever read has inspired me in one way or another. Stephen Donaldson, Stephen King, Piers Anthony, Robert Heinlein, Edgar Rice Burroughs – all these people I read in my formative years showed me the wonders that could be found in our own imaginations. Nothing is impossible. It’s a great motto to live by. Q10: When you’re not writing, what do you like to do for fun? A: I’m pretty sedentary and so probably are the things I do for fun. Reading! Must read to write. Plus, I love doing it. Favorite genres are Fantasy and Science Fiction, but I read a whole lot more than just those two. Watching TV, movies, anime; listening to soundtracks. Playing computer games (when I have time!) and who knows what else. Not anything too impressive. Though for several years I was trying to teach myself Japanese and was translating Japanese comics for myself and some friends. No time for that anymore! Q11: Do you have anything that you’d like to say to your readers? A: Hi, ya’ll! Read lots! Heh heh. Try new authors and new genres. There really are so many books and so little time, but a sampling across the board will get you treasure. In the last few years I’ve ventured out and found new authors to read, especially those I’ve met at conventions, and I’m so glad I did. Discovered the wonderful books of Terry Pratchett, Rachel Caine, Martha Wells, Carole Nelson Douglas and others this way. Reading is just too much fun! Q12: What kind of advice would you give to new writers? A: The best advice I can give you is – go to conventions! There are a ton of SF/F and other genre conventions out there and a lot of the programming are made up of panels with real authors, real editors, and real publishers, so you can get the skinny on the writing field as well as common do’s and don’ts. Great place to also start the required amount of networking. You can’t go wrong with the conventions. And better yet, they’re a lot of fun! Also, you need to write, write, write, and read, read, read. Reading gives you subliminal lessons and is never to be undervalued. And before you submit someplace, make sure to read their guidelines! The fastest way to be rejected is to send in something without reading the specifics for that group/market. Good luck with your endeavors! And just keep writing! Thank you and the folks at Vampire Books for having me here. If you’d like more info on me or my books, come on by and come say “Howdy”! See ya! Welcome Gloria Oliver, author of fantasy for young adults and more grown up young adults! Amber: Why do you write fantasy? Gloria: I write fantasy because it’s my first love. It’s the genre I fell head over heels for when I began reading in my early teens. That broad shiny spectrum of possibilities! Unlike a lot of other genres, I feel fantasy can be more incredible, more fantastical, more open to my imagination’s wanderings. A great big universe just waiting to be explored! All sorts of peoples, places, and things to discover. Amber: What makes your fantasy titles different from others? Gloria: I like to think of my books as a very personal experience for those who choose to read them. They’ll take you on a journey of discovery and growth hand in hand with the characters I’m writing about. Each book normally has an underlying theme the readers can hopefully relate to at some level – finding our place in the world, realizing we’re not bound to society’s tethers, discovering your past can always find you no matter how hard you try to hide from it, that truth isn’t always what you think it is. Amber: What are your favorite fantasy novels? Gloria: Oh my! The more I read, the more of them I have, to the point it’d take forever to list them all. Now I choose authors rather than novels, knowing these individuals will always deliver so I don’t care what the subject is – I know I will go on a great journey. Tad Williams, David Eddings, Barbara Hambly, Tanya Huff, Piers Anthony, Edgar Rice Burroughs, Anne McCaffrey and more recently George RR Martin, Martha Wells, Rachel Caine, A Lee Martinez, Rob Thurman, Terry Pratchett (I adore his stuff! I can’t believe how long it took me to discover him!). I suppose I can recall a few actual books, sort of…The Belgariad Series, Sword of Shannara, Dragonriders of Pern series, the Xanth books – all oldies but goodies! Amber: Why do you think readers love fantasy? Gloria: I think they love it for the same reasons I write it – because of the endless possibilities! The races, the societies, the situations as varied as there are stars in the sky. Amber: Would you write fantasy even if no one read it? Gloria: I am a slave to my muse, so I would have to say YES. The genre calls to me. I may dabble in others on occasion, but I will always come back to my first love. 1. The tagline for your book The Price of Mercy asks ‘Which is worse…the monster within or without?’ I think the monster without because it can throw busses and knock over power lines and stuff. What do you think? That I do, ’cause I’m crazy, and they keep letting me come back! I love them all for different reasons. A-kon and Animefest have tons of people in all sorts of anime and game related costumes (and lately lots of steampunk!) and the inventiveness of the people trying to recreate mechs and giant swords and hammers is AMAZING! A feast for the eyes, though you do run the risk of occasionally seeing something which will be burned into your retinas forever and no amount of scrubbing will ever get the image out! My eyes! My eyes! (Lobotomies are always an option, but I don’t think they’d do much for the writing career.) So in a way, they’re fraught with scintillating danger and can be a lot of fun! As to a writing schedule, I normally spend at least a half hour before work, and a half hour at lunch writing. If work is slow I sneak some more in when no one is looking. Weekends and weeknights are normally family time, though Saturday nights are given over to whatever is on my Marketing To Do List or editing. Uh, cool stuff? Cool stuff? Me? Yeah, about that… (Feel free to take a nap about now, ya’ll: a minute or so will do) Uhm, day job, fulfill my duties as canine and feline petting slave, radiate presence waves and plot spoilers (we authors can be party poopers) for my hubby as we watch TV, be the balancing weight on the mattress so hubby can sleep comfortably. Important if not so glamorous jobs. Yeah, I remember… You blamed me for it! Me! The poor innocent bystander… Oh, the humanity! Tattled on me to your wife, too! Was watching my back for weeks. Weeks I tell you! (Well, okay, maybe not. And I did get back at you by taking that incriminating picture of you and that FROG at the EPIC Ebook Awards. You two were awfully chummy. We know there was stuff going on there. Heh heh. ) Oops, did I type that out loud? Hee! OMG! Look, look! Jeff Strand, yes, THE JEFF STRAND is interviewing me on his blog! That’s like manna from heaven, yes? YES! And because Jeff will zap each and every one of you with his mind control ray and make you buy his latest novels, like [Note from Jeff: Link deleted because it makes it look like was all like “Hey, Gloria, it would be cool if you promoted MY books during this interview!” which would be tacky]**I am so very tempted to put them back! lol** and [This link deleted, too, for the same reason], there will be some left over resonating waves which will also make you go check out my website at www.gloriaoliver.com and read sample chapters of my books – In the Service of Samurai, Cross-eyed Dragon Troubles, Willing Sacrifice, Vassal of EL, and the shiny new The Price of Mercy, as well as the free short stories and who knows what else and then you’ll immediately fall in love with them all then go straight to the buy page so you can click all the links and purchase numerous copies of all the novels and share them with everyone you know and make them viral. Then, because you feel you’ve not done enough, you’ll stalk me and subscribe to my newsletter, my blog, and follow me on Twitter, even Facebook! All the while hoping that I can somehow give you a way to protect yourself from Jeff (I recommend the foil pyramid hats) but in reality, it’s way too late for that. Soon you too will be overpowered by furry masters who will use you as cushions and petting machines and who knows what else! (Breathe) Heck just feel free to send us signed checks with no amounts written in and we will put them to good use no really we will I promise how can you not love me now forever and all that stuff, huh?